This is a lesson that I have returned to over and over again in my life. Sometimes a little seed of doubt – damn that doubt – creeps in and I second-guess myself. But time and time again I have to do a 180 or a 360 turn back to that first instinct. This last week has been one of those weeks where I had to do a 360 turn back to my first instinct in my WIP. On advice, from an agent and from a few authors, I had second-guessed a key element of my WIP’s story structure. After much tweaking and re-tweaking I made the new way work. But the entire time while working on the 2nd draft, this new style kept on grating on my nerves. I couldn’t figure out why this 2nd draft was not jelling with me and why this WIP was so determined to fight me every inch of the way. Then I was asked a question by my cp that jolted me into a massive A-HA (no, I don’t mean the Oprah saying, I am talking about a huge ballad ala AHA the 80s pop band) moment. What was the question? She asked why I had ever changed styles from the 1st draft to the 2nd draft. Bells and whistles went off in my head! Why indeed? Well, there is no reason I can’t change back, is there? No. That is what editing is about. We can change our minds. We can make 180 or 360 turns. We can cut out, add in and re-splice scenes and chapters. The story is your own, hold your own pen and write the story you must write the way it needs to be written because the writing is not done until you type The End. You can always do a 360 and return to your first instinct…It is never too late until it is too late. Have you ever second-guessed your first instinct & then ended up doing a 360 back to that first instinct? Has a WIP ever fought you and just not jelled? – What did you do? People are communicators. We love to communicate. We want to communicate. We need to communicate. But what about when words don’t get your full meaning across? What about when talking is just not enough? Have you ever traveled to a country where you did not speak the language there or did not speak it well enough to communicate? What did you fall back on to communicate? You used body language. You used facial expressions. Words can sometimes only go so far and even if you speak the same language, words may have different meanings to different people. So people use body language or non-verbal communication to get their meaning across. Non-verbal communication is 90% of the way we communicate and verbal communication (words) is only 10% of the way we communicate. So it really is true: Actions speak louder than words. When a reader picks up your completed novel, they are visiting a new country that is foreign to them. They are entering the world of your characters that you as the writer have created. You may know all the rules. You may see all the scenes in your head. But just because you can, don’t assume your reader can see them too without you communicating these scenes to them. Yes you can use descriptions to describe scenes and you can use dialogue to give a presence to your characters. But how do you show what the character is thinking or feeling in action? You use non-verbal communication, body language, facial expressions and micro expressions. Ok, so how do you learn to write body language? Before you get to that question, you should first ask how do you learn to understand body language in the real world? We have all heard the expression: write what you know. Body language definitely comes under this. If you don’t do some research on body language you as a writer will be forced to either have the talking-head syndrome or you will be using clichéd phrases and descriptions to communicate your character’s body language. Clichés sometimes are avoidable and they do have their place but it is far better to try for something original. Off the top of my head these are just a few of the industry experts who need to read, and understand body language. From my day jobs in both sales management & training and my days as an international flight attendant (especially in this role) body language was key to doing my job correctly. In terms of my airline experience we were taught by two police detectives and a psychologist how to read body language. A lot of the most missed body language comes under micro-expressions. Below is a short video detailing the basic micro-expressions all people use to communicate various emotions. The other layers that make up the linguistics of body language are voice tone, body posture, sign language and then individual “tics” that are unique to each individual. Think of it the next time you are in a room with someone. Think what body language you are using. Does it contradict what you are saying or does it add to it? Think of the other person. What does their body language tell you? Like most things in life, learning to read and recognize body language needs to be practiced until eventually it will become an unconscious habit. The above sentence is fairly self-explanatory. You have a character named Eliza and she smiles. But 10 people could read that and get 10 different images in their minds explaining the smile. As a writer you have a choice to either let the reader choose their own interpretation or you can open up the scene for them. Her lips curve slightly before she can pull them straight. Now I have opened up the scene a bit. I have told you in one sentence that she smiles but is trying to hide the smile. Perhaps she is nervous or perhaps she is shy. In the doorway he stares at me and smiles. Again there is nothing “wrong” with that sentence but it lacks emotion and falls flat as a result. How does he smile? Why is he smiling? What does the doorway look like? What is he thinking/feeling? The above sentence does not tell the reader any of that. Standing in the shadowed doorway, his eyes crinkle at the corners and his lips twitch into a knowing smile. Now the reader can picture the doorway. The reader can picture the man. They can imagine him perhaps leaning against the doorway. The reader can see his smile is a teasing smile, perhaps with a slight twinge of arrogance or confidence. These are just two twists on using body language to open up a simple expression of smiling. You could come up with 100 others. Here is a simple exercise: Go to a mirror and smile. But think something when you are smiling. Perhaps you are thinking of something embarrassing and the smile that comes to your face will be a nervous one. Look at what your eyes are doing, how are your lips curving. Are you smiling with your teeth showing or are you smiling with a closed mouth? A myriad of micro-expressions can come into a simple smile depending on the person’s mood or the circumstance or the person they are with. Using these skills of describing these micro-expressions will bring a scene to life for your reader. Two television shows that are fantastic for learning to recognise body language are Criminal Minds and Lie to Me. Criminal Minds is a television show based on the cases of a team of behavioral specialists & experts in the FBI. Lie to Me is a television show about a man who makes a living from being an expert in body language and micro-expressions. Most police shows are very educational with learning how to recognise body language but these two series are my favourite go-to series. Do you make a conscious effort to use body language in your writing? What is your most challenging “simple expression”, like smiling, to write using body language? Are you ready to lose the map? I love road trips. Always have. It started when I was a babe in my mother’s arms and the minute the vehicle started I was in “happy-land”. I love road trips with no clear destination in mind. You know, those times when you get in the vehicle and just drive following the road as your only map. Travelling fuels my sense of adventure, exploration and discovering the great unknown. The best adventures don’t usually happen on the main highway. They usually happen when you take that pothole-ridden abandoned side-road. There’s a sense of risk maybe even danger. Your adrenaline is fizzing through your bloodstream. Anything can happen. It might not all be good but it will be an adventure. So what’s road trips got to do with this post. Everything. To get very profound, life is a road trip: unpredictable, risky, mapless, pitstops unknown, destination murky and a complete adventure. But this is not a post on the profound meaning of life. That is for another day. This is a post about writing, story, creativity and inspiration. Two roads diverged in a wood, and I —I took the one less traveled by, And that has made all the difference. Writing both as a vocation and the act of writing individual stories is a lot like a road trip. As a writer, words are my vehicle and inspiration is my driver and gritting-your-teeth-clenching-your-knuckles persistence is the fuel that makes this trip possible. With writing even if I start with a map, I usually tend to veer off the main road and take that tempting side-road. Sometimes these side-roads turn out to be dead ends or cliff tops but the beauty of a vehicle is that it reverses as well so I can always turn back. But more often than not these side-roads tend to give me nuggets of pure gold. They give me the little twist in the tail in my plot, they work out that ugly knot you may have written yourself into and sometimes they change your whole plot into something even better. I am on just such an adventure right now with my two WIPs. One of them is in the final drafting stage and the other is new and shiny and keeps on catching my eye. I had a map with the first WIP, all neatly outlined. But something was not working, some magic was missing. So I figured the map was holding me back. I threw the map away, refueled with some gritty persistence and took the pitted side road. I am about 2/3 way through edits and the characters are driving it. I stopped thinking and directing so much and just let them take the wheel. It does mean that Book 2 is going to change a little from the original map but that is the beauty of a side-road: Change. When you edit a draft, you need to tear it apart, change it up, stretch it thin and then do it again. You have to get brutal with your plot and you have to get brutal with your ego. You have to buckle up and just keep going, hold on through the rocky patches and speed wobbles but stay in the driver’s seat. As for my new and shiny WIP, this one is going to be a road-trip completely off the map and off the highway. My creative synapses are sparking off major electric sparks of excitement. The story is gritty, the characters are raw and I am ready for this road trip. I am also ready for a new adventure. I do love the final draft WIP but I know what happens on that road trip, I have seen the destination in the distance. This new WIP is a trip into the unknown but so far the landscape is stripped down to that raw and natural beauty you find in a vast desert where the horizon seems endless. It is just the beginning of this story’s road trip and I have already thrown the map away. I am ready for the adventures these characters are going to take me on. My adrenaline is buzzing. Are you one of those people who has to have a map and navigator? Are you ready to lose the map and get lost? Have you ever found you had to change up the whole plot of your story, you had to get muddled to get found? How many times have you had a word on the tip of your tongue but it won’t come to you? As a writer, I have to find new words and synonyms all the time. The worst thing you can do is keep on repeating the same words through a manuscript. But sometimes it is harder than one thinks to find new ways of saying the same thing. It can also be difficult putting an action into words. Sometimes even us writers just draw a blank when it comes to “that perfect word”. I am in the middle of editing one of my manuscripts and I cringe at how many times I have overused certain pet words. Yes I use a dictionary and yes I use a thesaurus but sometimes even these great reference tools are not enough. What about those times when you can’t think of the exact word but you can describe what you are trying to say. Then what? A dictionary nor thesaurus won’t cut it at these times. Reverse Dictionary is a great way to explore words, definitions and concepts. Have you ever had a word on the tip of your tongue but just couldn’t get it out? Then this app is for you! Reverse Dictionary can also help you expand your vocabulary in many ways. Special thanks to OneLook® for providing data services. This app is free, and will remain free so enjoy! I couldn’t believe my luck. This is exactly the application I had been searching for. It took me less than 10 seconds to download it. I have been using this application for about 2 weeks and it has changed my world! Now if I want to say something is green I have a whole list to choose from to describe green. The application also works a bit like a word association game. If you type in a phrase, it comes up with all the synonyms associated to the words in that phrase as well as the actual phrase. The great thing about this application is that it also contains a number of full dictionaries and thesauruses. So if you have found a word but you want an expanded meaning of it then you just click on the “more definitions” and it will take you to a list of dictionaries and thesauruses: Everything from Dictionary.com to the Oxford Dictionary. There are also a couple of useful dictionaries for fiction authors: Rhymezone, Mnemonic Dictionary, Idioms and the Urban Dictionary and for Word Nerds – The Online Entymology Dictionary. The good news is that this application is available in both Apple and Android. So if it’s on the tip of your tongue and you just can’t find the exact right word… If your manuscript is covered in red pen from your editor with large “Please find another word!” all over it… Don’t waste time. 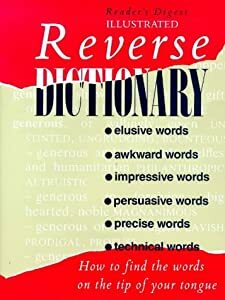 Download the Reverse Dictionary. This little app will change the way you write and make your editing life super-simple. Your editor will love you and your manuscript will shine. Who needs edits? I opt for Brain Surgery instead! So March is National Chainsaw-Wielding Editing Month…However for me, I have been deep in editing mode for about 6 months. But for me March is the If I don’t step away now I will …. End-Game. 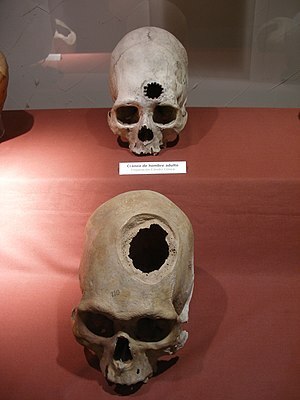 So what have I hated learnt about the brain surgery editing process? … I am a Control-Freak Perfectionist and my own worst enemy not to mention my novel’s. …Don’t over-edit…That is what an “Editor” is there for. … In the words of a very wise CP : Say to your EGO “SHOVE OFF” or use more colorful 4 letter terms, I am sure I don’t need to elaborate here. …Step away from the manuscript when you want to kill all your characters from frustration. …Don’t be so struck with stage-fright or that dreaded EGO to not ask demand help from any corner willing to give it. … Step away from the manuscript when it starts turning your hair follicles white and your fingers are being chewed to the bone from tension and nerves. … Step away from the edits and play with another WIP to rejuvenate your creative self-esteem…It helps if the next WIP is all about a serial killer…There is something soothing about killing off your secondary characters in a new story. Great stress-reliever. So nod yes if you have learned any of the same lessons above as I have. Nod yes if editing your own ms has given you grey hair and/or a license to wield a chainsaw. Nod yes if you wished a virus would eat up your ms so that you could just forget it and head onto the next story. Now I am stepping away, putting down the chainsaw, staying away from the Destroy “Delete” key and off to play with my new WIP…Followed by red wine, chocolate and the scariest thriller I can find on the movie channel. Rinse & Repeat: What doesn’t kill me (or make me kill others outside of fiction) will make me stronger! Has your story amazed / surprised and delighted you?